Finding a new casino is stressful business. So when you do finally find that special site, chances are you will want to invest a decent amount of time there. If the games selection is lacking however, you are guaranteed to feel frustration in no time at all. Instead, look out for sites that feature a lot of brands like Playtech, Microgaming or NetEnt games; the best sites will have several software providers to choose from. Here’s one question you should always ask while signing up to any online casino: how easy is it to actually use the site? If you find yourself seething with anger over the menus or the game sorting options, then chances are the site design may stink. The best site designs are the ones you don’t even notice, allowing you to play or choose your games with no resistance whatsoever. Any bonus you accept is going to have some kind of terms attached to it. The most frustrating of which is the dreaded wagering requirements. Beware of casino sites with astronomical requirements - they definitely don’t want you to convert that bonus. However, a positive trend for online casinos is the introduction of zero wagering free spins - or fair spins as they are sometimes called. To summarise, playing these spins awards real withdrawable cash. And as an added bonus, there are usually no max win limits! Promotion pages can often be misleading, but they can also give an indication of what the site will offer post sign up. 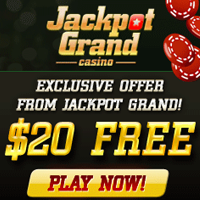 It’s worth keeping in mind that some casinos rarely post on their promotional pages - while some will reserve their juiciest offers directly for your inbox. Other sites will love publicising all of their slot tournaments and tasty treats - and these are the sites worth checking out. 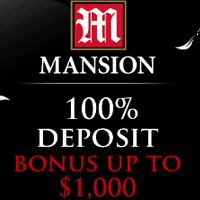 It’s hard to stay loyal to just one site nowadays - every casino is trying to outdo each other with bigger bonuses and signup benefits. More often than not, these sites drop the ball and forget about the current player base. 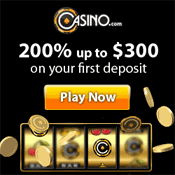 The really great online casinos will offer generous rewards for existing players too. A recent trend many casinos are following is to offer real cash rewards for continued play and engagement. Want to really know what it’s like to play at that casino you have been eyeing? Well, there’s no better place to find out than actual player reviews. Sites like TrustPilot offer valuable insight and knowledge to a casino’s practices; chances are you will also get to see and gauge how a casino responds to any negative reviews. We recommend visiting a number of different review sites and seeing all of the comments before hitting that sign up button. Casino websites love to show off their trophy cabinets and will throw around phrases such as “award winning service” like confetti. However, we suggest you take awards like these with a grain of salt - as they are often awarded by industry bodies and not the player base. For the most legitimate representation of a casino, we still recommend player comments first and foremost. The world of video games has offered countless inspirations for the online casino industry. The newest sites will offer a level up system, which grants you access to new rewards upon hitting the next level - like free spins or a special currency. 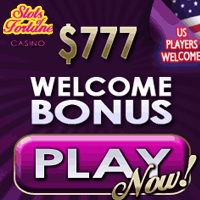 Some sites even offer trophies and achievements for certain slot games. We live in an increasingly mobile world - and many casinos have made the transition to smartphone. Most sites will at the very least offer a mobile version of their site, but the really dedicated brands will also feature apps on the iOS app store and Google Play store. What are the advantages of using an app over a site? Well it all comes down to speed; launching an app with one click on your phone is far quicker than opening a web browser and then waiting for a page to load.